The Solutions to disable, enable customize, turn off/on Hibernate or Sleep in Windows 8 , 10 or Win 8.1 via Power Options or command in cmd.exe! 2. Disable, enable customize, the sleep via cmd.exe command powercfg (Win 8/8.1)! 3. Temporarily disable sleep windows 8.1 / 8! 4. List other commands in powerconfig! Start the Windows-8 Control Panel and then open the Win-8 "Power Options". In the Windows-8 Power Options, click on the text "Cange plan settings" (... See Image-1). Windows-8 FAQ-15: ... Open the Control Panel in Windows 8 (start, call)? and Windows-8 FAQ-16: ... How to switch the Windows-8 control panel to classic? control.exe /name Microsoft.PowerOptions and press enter to open the Power Options (Image-1) directly. If you want to prevent or block Hibernate/Sleep only for a certain time , you can test the tool Don't Sleep. Why can't i change power settings? Your user rights, restrictions imposed by your system admin, or your PC's hardware configuration might limit which settings you can change. For example, if your PC is part of a network at an organization—such as a school or business—your system admin might have turned off or even removed certain settings. In that case, ask your administrator for help. Which power plans are available? Offers full performance when you need it and saves power when you don't. This is the best power plan for most people. Saves power by reducing PC performance and screen brightness. If you're using a laptop, this plan can help you get the most from a single battery charge. Maximizes screen brightness and might increase PC performance. This plan uses a lot more energy, so your laptop battery won't last as long between charges. 2. Disable, enable customize, the sleep via cmd.exe command powercfg! Please start the cmd.exe in admin mode [Windows-logo+X]! If in Windows 8 /8.1 the energy options is very set on ENERGY EFFICIENCY, it may happen that the windows go faster sleep, than it is necessary, even if the programs are working and have not completed their tasks. This problem can be solved with the freeware Don't Sleep, without disable or change the energy saving features. 3. List Other Commands in powerconfig! Enables users to control power settings on a local system. For detailed command and option information, run "POWERCFG /? " /DEVICEENABLEWAKE Enables a device to wake the system from a sleep state. Windows-8 - FAQ-30: Disable or enable Hibernate and Sleep at Windows 8/10 and 8.1, how to? How to disable Windows 8.1 or 10 in standby mode? How to change settings windows 8.1 to keep internet active in sleep mode? Help, Windows 8.1 will automatically enter Stendbay mode, you can park it. How do i change the time when my computer goes to sleep on windows 8.1? I want to change the standby mode, Windows 8.1 or 10 but has no options for this. How to configure settings to install updates automatically in the sleeping mode? How to configure windows 8.1 or 10 to never go energy saving mode? How should i do so my windows 8.1 or 10 don't go to sleep automatically? System shows the monitor is going to sleep message how to remove the settings? How can I switch to Windows 8.1 or 10, it automatically goes into standby? Turn off hibernation windows 8.1 or 10 and windows 8.1 sleep mode? Windows 8.1 will not automatically standby Unignore? The hibernate power save mode could not be enabled error 1 incorrect function? When i push the power button on my remote control windows 8.1 goes into sleep mode? How to configure a windows8 computer to not sleep after closing? Why does cd-rom stop working when windows 7 goes to sleep mode? Shut down computer dont save changes even personalize x32? How do I turn on Windows 8.1 on standby? How do you change the sleep and hibernate settings in windows 8.1? Is there a way to stop overclocking a laptop that is using windows 8.1 or 10 and 8? How alternate from at W8 and 8 automatic power saving mode? How to stop the computer going into standby windows 8.1? Windows 8.1 or 10 monitor goes to sleep while i am using the computer? How to disable the Hibernation mode of Windows 8.1 preview? Windows 8.1 Turn the power save mode? Windows 8.1 and 8 sleep state without going to power settinges? I can not get my windows 8.1 to let me change power settings? Windows 8.1 Turn the automatic stand? Windows 8.1 or 10 disable power saving monitor shut down? Why does computer always go into auto detect power save shut down? How do you change the time for sleep mode on windows 8.1? W8 are energy-saving settings disabled? Turn off windows 8.1 or 10 hibernation? How do you turn off system standby & disable hibernation in control panel? How to make windows 8.1 or 10 not shut off when on standby? How to configure when notebook is closed but not turning off on win 8.1? Screen brightness changes and you cannot adjust the screen brightness after you resume a laptop from sleep mode in windows 8.1? How to set in windows 8.1 or 10 and 8 is a pc that is not completely in standbye? How to make a pc turn on automatically when power restored? How can i make the timer of the standby on my windows 8.1 longer? How do I put on standby in Windows 8.1 or 10? Windows 8.1 or 10 automatic power down mode is also in downloads? Edit Plan Settings can't change sleep windows 8.1? How to set up windows to put monitor to sleep but keep downloading? Where can i change the time it takes to go to sleep in the windows 8.1? Sleep mode in windows 8.1 or 10 or windows 8.1 or 10 disable hibernate? How to make no sleep time for screen in windows 8.1 or 10 and 8? Windows 8.1 or 10 no automatically in idle state? I dont want the computer to go into hibernate in windows 7 where to change it? How to change windows setting such that it does not go to sleep even I cover the screen? Windows 8.1 will automatically enter Sleep mode? How do you turn the sleeper off on my computer windows 8.1 or 10? I don't want windows 8.1 to go into a sleep mode how do i fix this? How to remove password from windows 8.1 when hybenate the laptop? Automatic standby in Windows 8.1 or 10 off? Computer goes into sleep mode and can not re-activate Win8 64bit? Win 8.1 runs always sleep mode? How do I set the standby mode in Windows 8.1? How do i make the stand by function on my laptop not to come on too early? How to stop monitor from going to sleep in samsung windows 8.1? Automatic standby Windows 8.1 or 10? How to keep a computer from going to sleep windows 8.1 or 10? How to sextend time before screen goes into sleep mode on on windows 8.1 or 10? Windows 8.1 sleep settings and windows 8.1 and 8 sleep timer? How to change the setting and make you desktop not go to stand by? How to configure settings to install windows updates automatically in the sleeping mode? How to change sleep mode on windows 8.1 or 10? How to open power saving mode through command prompt? How do i make windows 8.1 or 10 not go to sleep automatically? How do I set the standby mode in Windows 8.1 away? How can I increase my Laptop screen resolution using Windows 8.1 or 10 64bit? How to change sleep time on windows 8.1 or 10? How to disable automatic shutting down for windows 8.1 or 10 enterprise? How i can automatic shutdown laptop by change setting in command prompt in window 8.1 or 10? Changing sleep mode in windows 8.1 and 8? How do i make my computer not sleep windows 8.1 and 8? When i close an app in windows 8.1 it goes back to the desktop screen? Free download to disable auto brightness on your laptop for windows 8.1 or 10? Windows 8.1 or 10 standy automatically? Windows 8.1 or 10 is simply energy in stand-by mode? Why is my computer coming out of sleep by itself windows 8.1? Windows 8.1 or 10 goes into screensaver mode won't go back until reboot? How do you turn sleep mode off on a windows 8.1 or 10 laptop? Switch off the option to slow the connection on standby/hibernation in win 8.1 or 10? How to stop windows 8.1 or 10 tablet from going to sleep? How do i turn the sleep off on my windows 8.1 and 8 computer? My windows 8.1 pc will not stop going to sleep or hibernation? Disable sleep mode windows 8.1 or 10 and 8 to increase disc size? Configure settings to install windows updates automatically in the sleeping mode? Disable Automatic hibernation Win 8.1? How to configure modes Off, Hibernate and Standby in Windows 9? How can you please turn on the standby in W8. How to get windows 8.1 desktop stop going into sleep mode? How can i disable the sleep mode totaly in windows 8.1 or 10? What to do when hibernating going for long time in windows 8.1 and 8? How to stop windows 8.1 from going to sleep, windows 8.1 or 10 and 8 standby and disable hibernate windows 8.1? How to stop computer from hibernating in windows 8.1 or 10? How do you change the power saver mode on windows 8.1 or 10 and 8 to disable? How do i turn off the sleep mode on my windows 8.1 and 8? System admin might have turned off or even removed certain settings eg. power? I have windows 8.1 or 10. how do i get my computer to quit going to sleep? How to disable hibernation windows 8.1 and enable shutdown after inactivity? Stop win 8.1 or 10 going into sleep mode? Windows 8.1 or 10 sleep mode? Windows 8.1 or 10 and 8 runs into standby mode? Windows 8.1 will not recover after going into sleep mode? How can I turn off the standby mode in Win8? How do i stop windows 8.1 or 10 tablet going to the password screen? Disable hibernation windows 8.1 and 8 or/and sleep mode windows 8.1 or 10? Auto Standby Mode Windows vista, How do I turn off the auto standby mode? Power option settings windows 8.1 for sleep Certain process running? Why when my computer goes into sleep mode does my resolution change? How do you turn off huibernation in windows 8.1? How to stop system to go into hibernate mode when locked? Sleep options for windows 8.1? Windows 8.1 or 10 and 8 will automatically move to stand-by? How to change when your computer goes to sleep windows 8.1? How do logging off, hibernating, and shutting down differ on a Samsung notebook? How to change sleep settings on windows 8.1 and 8? How to change the sleep mode on windows 8.1? Difference between sleep and connect standby modes in windows 8.1 or 10? 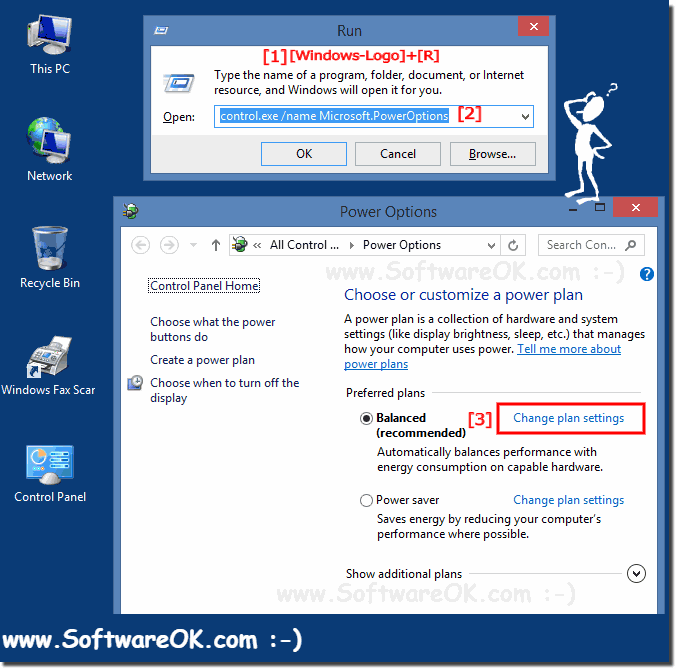 How to disable power on password windows 8.1 on command prompt? Why Windows 8.1 will automatically go into standby mode? Win 8.1 automatic power save mode? How to make windows 8.1 not sleep? How do I make it one that is not in Win-8 gewächselt into standby mode by itself? How to change the time before the computer goes to sleep win8? How to that a monitor that does not go into retirement? How can I set Windows 8.1 sleep mode? 2013 find mihow to stop my windows 8.1 or 10 and 8 pc going to sleep? Windows 8.1 prevent computer from sleep when application is running? How do i stop my computer from hibernating on windows 8.1? When I turn on my computer from sleep mode the size is too large, how do I fix this? Monitor in hibernation in windows 8.1? How do I set the Windows 8.1 or 10 will never automatically goes on standby? Recently installed win 8.1 or 10 computer keeps going into hibernation? How to extend sleep mode windows 8.1 or 10? How to make your computer not sleep windows 8.1?